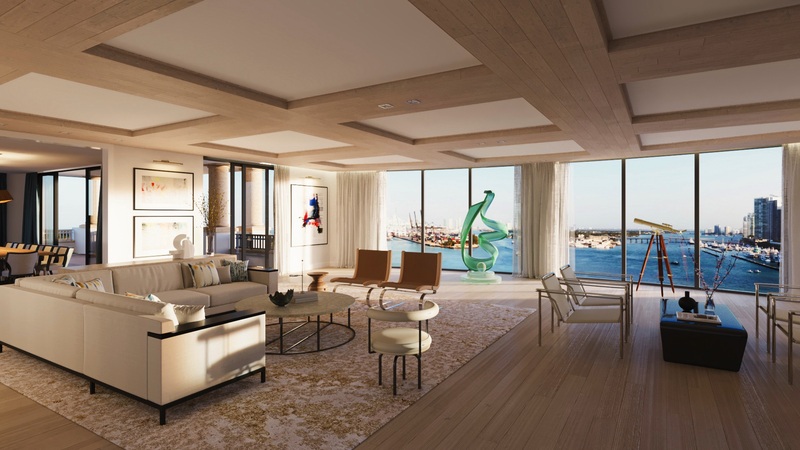 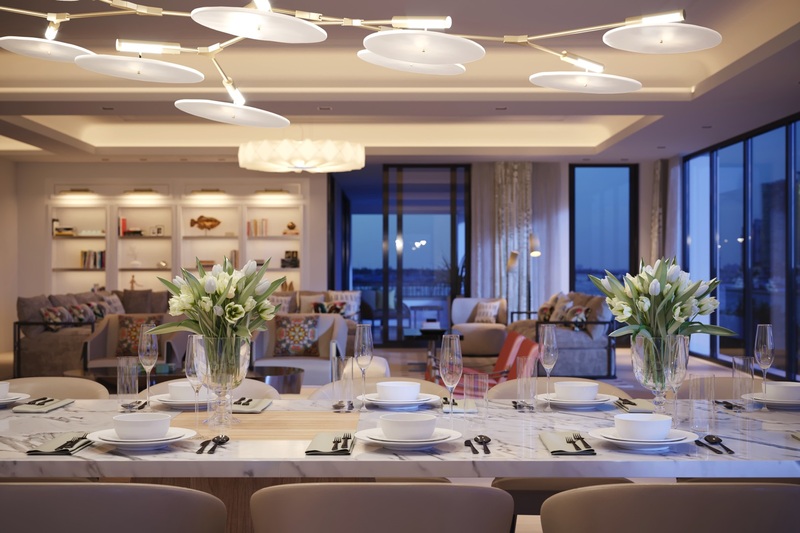 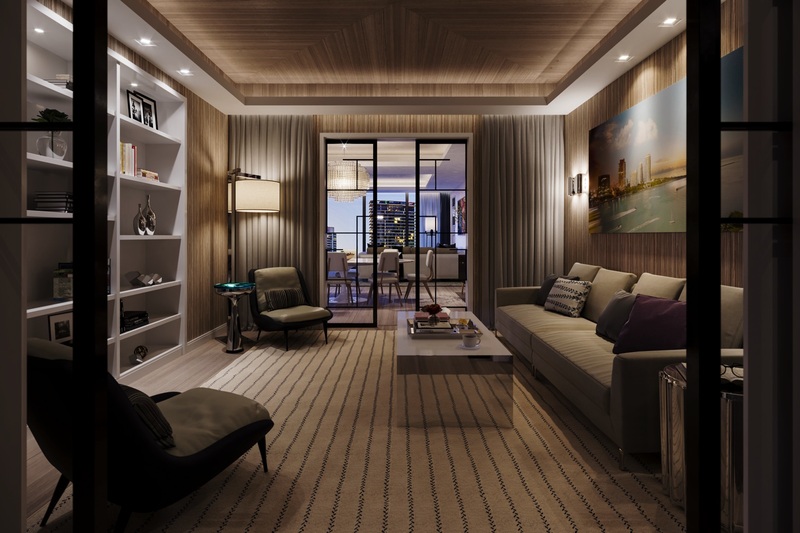 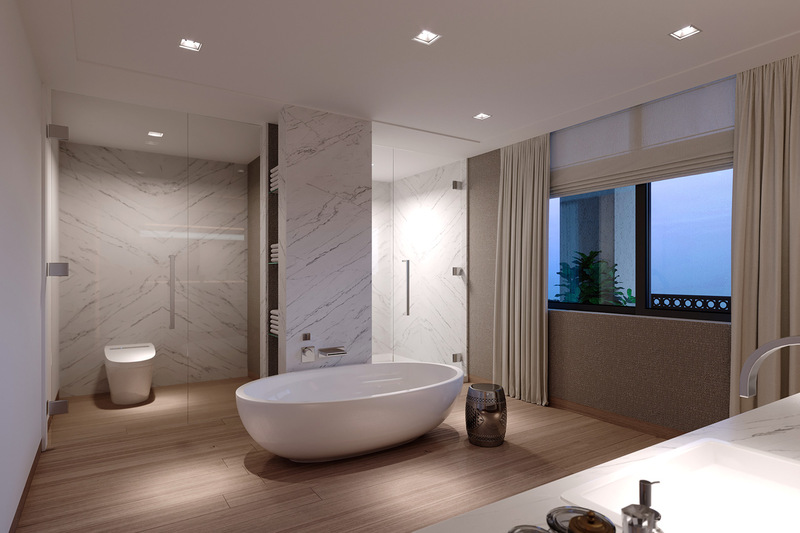 The residence interior conceptualizations at Palazzo Della Luna are examples of Champalimaud Design’s ability to create distinctive living environments with international appeal that are equal parts comfort, luxury and style. 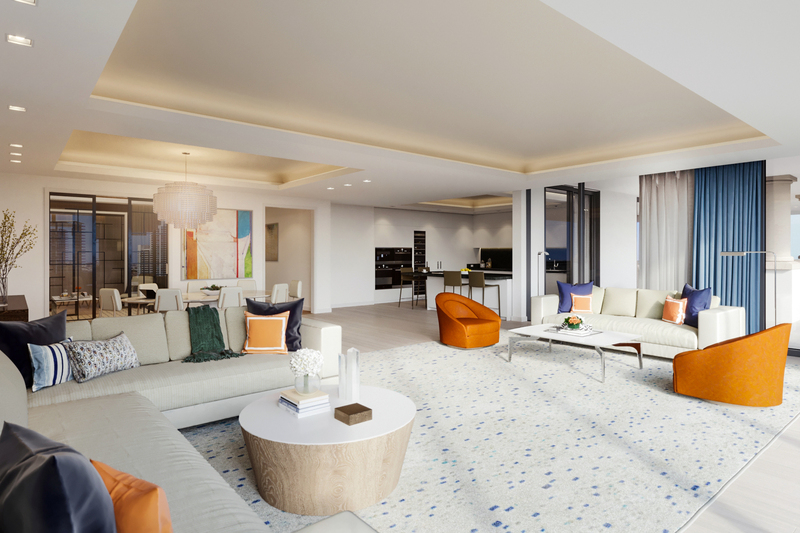 These ethereal interiors maximize each living space and are evocative of the elegant features and motifs that grace the property’s lobby and lounge areas. 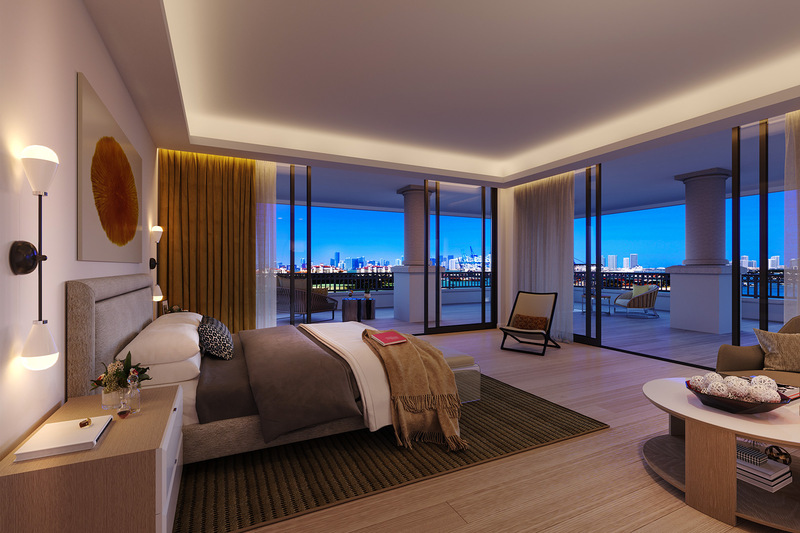 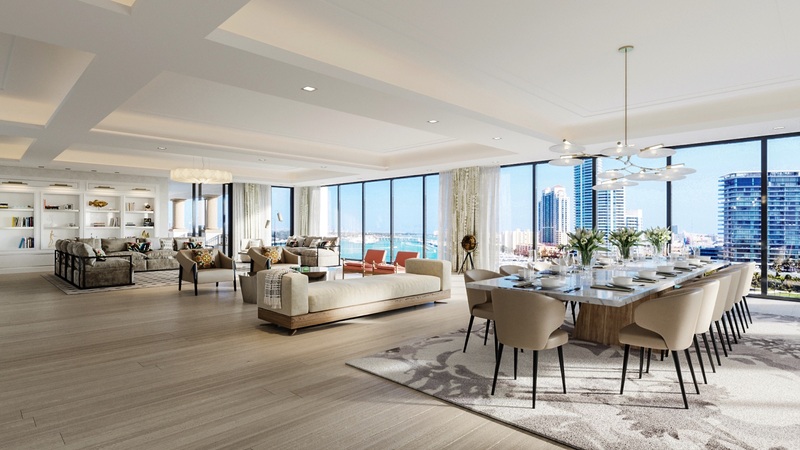 Full height window systems draw in the warmth and sunlight of Miami’s famous shoreline, while dynamic color palettes and precious materials evoke the island’s essence and pay homage to local flavors and cultures. 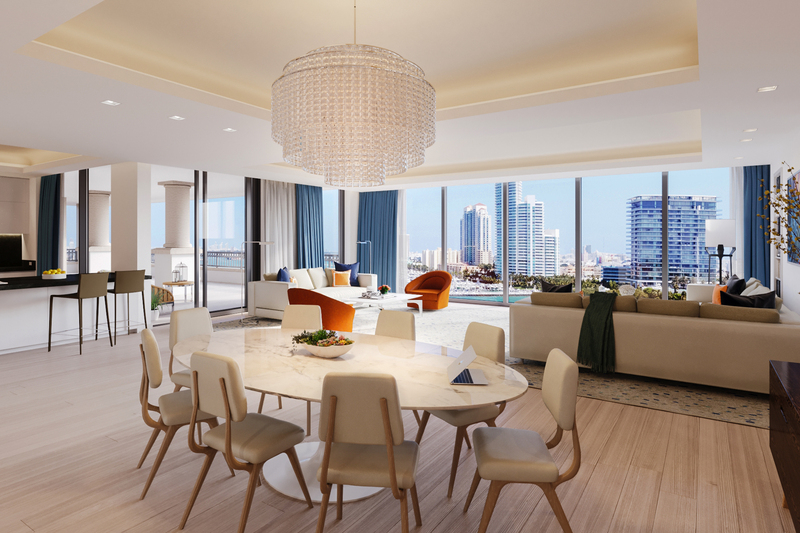 Large sliding glass doors designed with superior acoustics open to reveal deep Mediterranean terraces giving residents the privilege of enjoying fragrant tropical breezes and breathtaking panoramic views year-round.